There is nothing like a luscious, juicy apricot and there is one suited for nearly every climate. If you live in an area that is prone to late frosts, choose a late blooming variety such as Earli Autumn, Harcot or Harglow or a very cold hardy one like Chinese or Montrose. Find out more about apricots and our available bare root selection in our Apricots section. If you're lucky, you can buy some really good peaches at your local farmer's market, but, as is often the case, you can waste a lot of money at the supermarket buying peaches that rot from the center or are completely tasteless - two good reasons to grow your own! There are so many wonderful ways in which to use fresh peaches! Asian fruits are becoming more popular all the time and perhaps a persimmon, Asian pear, Ume apricot, jujube, mulberry or pomegranate is just what you need to add to your orchard! Why not try a Yoinashi Asian Pear, Sugar Cane Jujube, Pink Satin Pomegranate or Shiro-Kaga Ume Apricot? Browse through the hundreds of varieties of high quality fruit trees, shrubs and vines we sell online. We ship directly to your home or business. Order online the many unusual and hard-to-find bareroot trees, shrubs, bushes and vines we offer. We ship bareroot throughout the USA or your order can be picked up at our retail location in central California. We have endeavoured to provide you with all the information you need to choose the right trees and plants and so that you know what to expect. For our shipping rates, shipping season, shipping notification, tree size and other important information, please see our Ordering and Shipping Information page. To determine the right time to have your order sent, please see Choosing Shipping Time. To make sure that you select trees that are appropriate for your climate, please see What are Chill Hours? For our guarantee, go to the Warranty Information page. We also have many articles under the Growing Fruit Trees tab that can help answer questions. We are open Monday through Saturday from 9.00 am to 5.00 pm and Sunday from 9.00 am to 4.00 pm Pacific time. Our toll-free number for orders only is 800.847.6473 or you can call us at 805.466.3406. Our address is 2500 El Camino Real, Atascadero, CA 93422. A great way to make the most of your gardening space is by using the principles of Backyard Orchard Culture. This allows you to grow your own fruit in a smaller area, selecting varieties that will provide you with a successive harvest of fruit over a prolonged period of time. 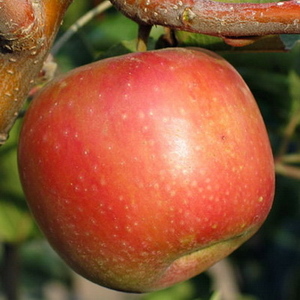 Tree size is controlled by pruning, but if you are not so inclined, you can choose trees that are smaller by nature, like dwarf, miniature and columnar trees, such as Northpole and Scarlet Sentinel apples. 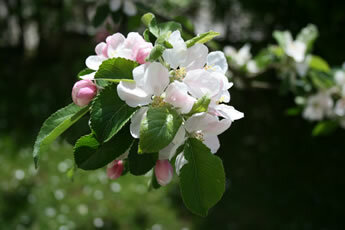 See our articles on Backyard Orchard Culture and High Density Planting for detailed information. 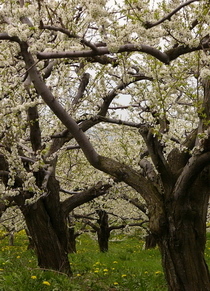 Add a Classic Apple Tree to Your Backyard Orchard! We have a selection of older apple varieties that includes Cox's Orange Pippin, Ashmead's Kernal, Golden Russet, Hudson's Golden Gem, Sierra Beauty, Spitzenburg and White Winter Pearmain. You won't find these varieties at your local supermarket, but they have withstood the test of time, some having been grown for centuries! 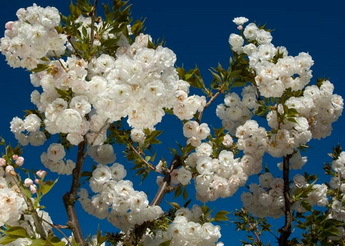 For a lovely spring floral display, try one of our flowering trees and shrubs. 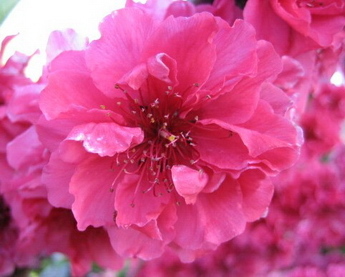 We have many varieties of cherries, peaches, crabapples and lilacs, including Early Red flowering peach (below) which is used in southern California for Chinese New Year and Yoshino flowering cherry which is the variety that produces such a spectacular show in Washington D.C. every spring. 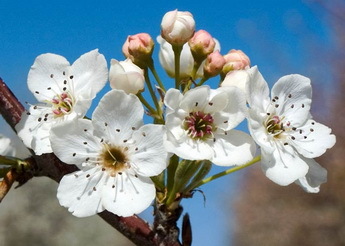 Some varieties of fruit trees can serve a dual purpose by providing a beautiful show of flowers in the spring, followed by delightful fruit later in the year. 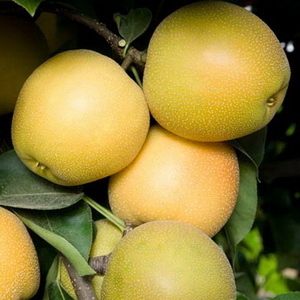 Double Jewel, Red Baron and Saturn peaches and Double Delight, Atomic Red and Flavortop nectarines are some examples or try the Ume Shiro-Kaga Flowering and Fruiting apricots with beautiful bloom and fruit used for pickling. Interspecific hybrids are an entirely unique type of fruit. They are complex hybrids of plums, apricots, peaches, cherries and nectarines in varying combinations and proportions that are not genetically engineered in any way. 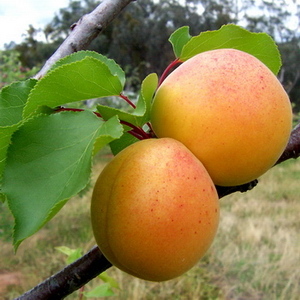 Of the plum/apricot crosses, Pluots and Plumcots have more plum than apricot parentage while Apriums are more apricot than plum. They have higher sugar content than either parent and do not have the tartness so common to plums, making them delightfully sweet. All of these unique interspecific varieties are selected for their rich, intense flavors and are a wonderful addition to any orchard. 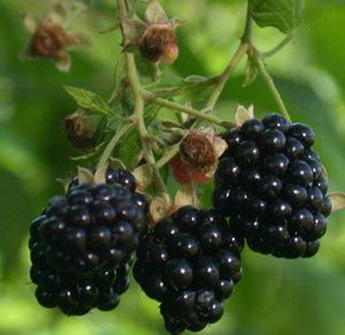 See New Fruit Trees and Berries under the About Ordering tab for more information about new varieties. 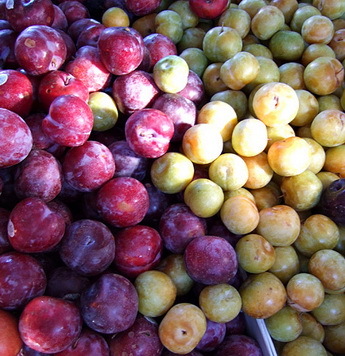 If both plums and apricots do well in your area, so will Pluots, Plumcots and Apriums. If you are not sure, check with your local nursery or agricultural department. We carry many varieties of top quality bare root nut trees that you can plant at home, making it easy for you to produce your own nuts. Excellent bare root nut trees choices for the home orchard are Garden Prince and All-In-One almond trees. The nuts they produce are thin-shelled and great tasting. Both trees are self-fruitful and of small size - important if your space is limited. If space is not a factor, pecans and most walnuts are also self-fruitful, but they do get much larger (sixty to seventy feet). Fruit trees are easy to grow with a little effort and home grown fruit is so delicious and tastier than anything from the grocery store. 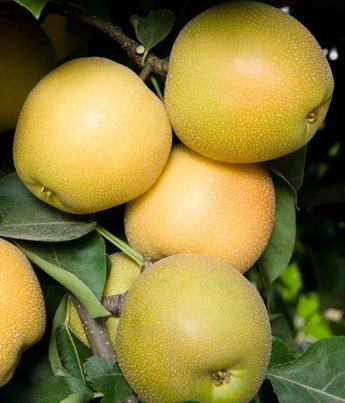 Experience the wonderful flavors to be found in the many unique varieties of fruit trees we sell bareroot. 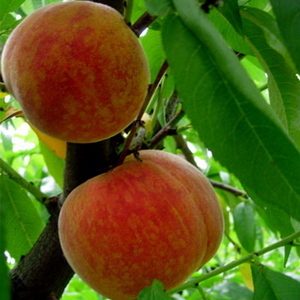 Planting a fruit tree is easy and the results rewarding. Just follow our guidelines! Homegrown berries have great flavor and you can pick them at the peak of ripeness for maximum enjoyment. Rising costs on all fronts mean that a lot of us are staying closer to home and producing your own delicious, healthy fruit certainly makes sense. Treat your family to home grown berries! You can enjoy your bounty year round by freezing, drying or canning. We offer an excellent selection of berries, including many that you won't find in your local grocery store such as Goji berries. Every bare root berry and vine we ship comes with directions for planting and growing. 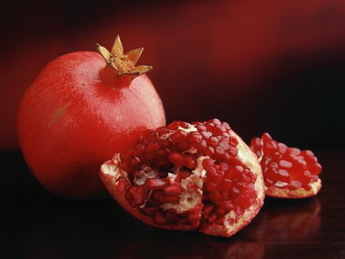 Pomegranates remain very popular, primarily due to their great health benefits. They are very high in antioxidants, vitamins, potassium, folic acid and iron and are useful in combating heart disease, cancer, high blood pressure and the effects of aging. In addition, they make wonderful landscape plants with showy red-orange flowers, glossy green leaves and the added bonus of a low water requirement once established. 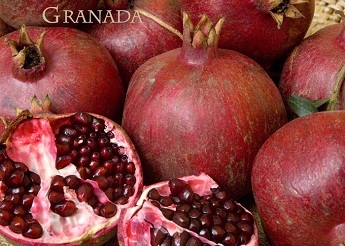 Check out our many varieties of pomegranates. You will surely find one that strikes your fancy!